Our cinema industry, on the rise from warm waters, is certainly changing into a complete entertainment hub for audiences. The industry was in full bloom in 2017! The year was jam-packed with the release of a lot of Pakistani movies, unfortunately, many of them ended up being an eventual flop at the box-office. Punjab Nahi Jaungi and Na Maloom Afraad 2 reached the pinnacle of success at the box-office, some more movies were expected to create even a greater uproar! Unfortunately, Mahira Khan’s Verna was a big disappointment and turned out to be an ultimate flop of the year! 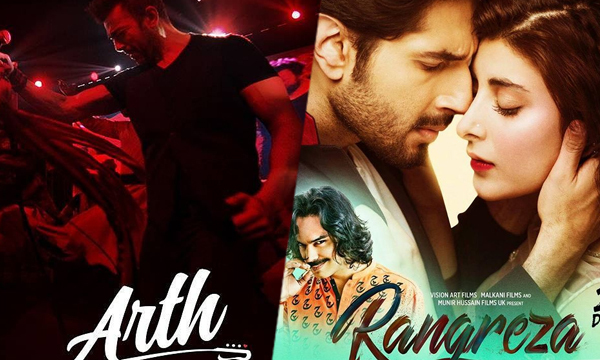 Now, we are eagerly waiting for the explosive box-office battle between Rangreza & Arth 2! Yesterday, Karachi saw the premiere of Rangreza, starring the power-packed trio of Urwa Hocane, Bilal Ashraf, and Gohar Rasheed! The imminent movie will be the debut directorial venture of Aamir Mohiuddin who started his career as an assistant director for TVCs, later joining Vision Art Media. The early reviews of the film are out and they are not so bright as we thought they would be. Some critics are being quite harsh with their analysis, while the rest are loving the flick. Rangreza To Pass With Flying Colors? Various critics have given the movie thumbs down. Meanwhile, the rest can NOT stop singing praises about the movie! Just returned from red carpet premier of #Rangreza, an entertaining and somewhat suspenseful production, where @GoharRsd's acting was outstanding along with @IamBilalAshraf's. @NueplexCinemas #PakistaniFilm. #Rangreza takes Pakistani cinema to the next level. @VJURWA will win you over with another terrific performance, @GoharRsd does a fine job in projecting menace & @IamBilalAshraf convincingly creates purity in his romance. Bilal ashraf after rangreza has established as his name as an ‘actor’ too not just a star. Gohar and Urwa were amazing and the film and music works ! Enjoyed it ! The film’s climax had a great punch! Loved it!